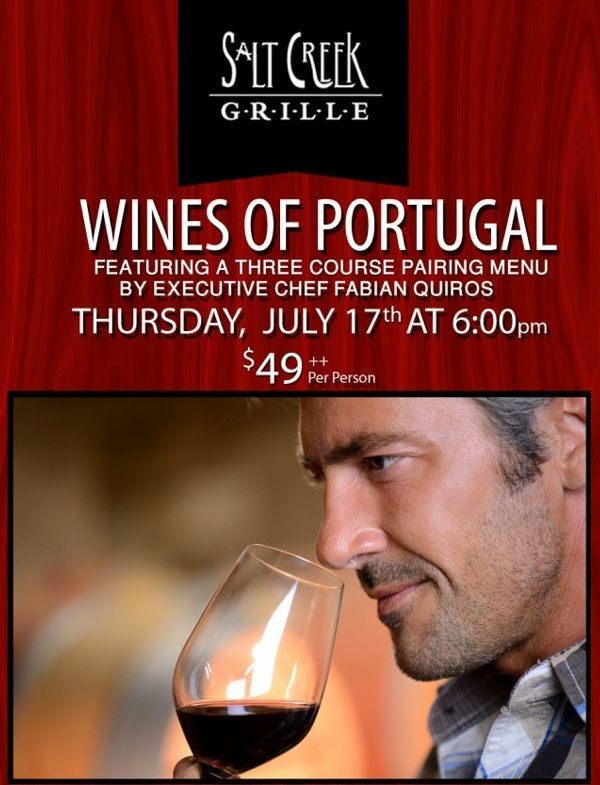 Featuring a three course pairing menu by Executive Chef Fabian Quiros. Thursday, July 17th starts at 6pm. $49 plus tax and service ($64 inclusive). With Guest Speaker Master Sommelier Scott Carney. Salt Creek Grille will also be featuring select Portuguese wines by the glass through Labor Day. Customers who taste these fantastic wines will receive a Wines of Portugal gift bag. You will not want to miss out on the opportunity to taste amazing Portuguese wines!